Dr. Bennett has numerous years of surgical experience. Specializing in minimally invasive bariatric procedures, Dr. Bennett takes pride in helping patients achieve their desired transformation. As a Fellow of the American Society for Bariatric and Metabolic Surgery, Dr. Bennett continues to advance her education to bring her patients the latest technologies and techniques in bariatric surgery. Maria assists Dr. Bennett in surgery and in communicating with patients about their concerns with surgery. 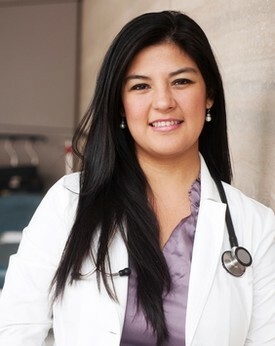 Maria also aids with our comprehensive consultations and follow-up exams. Linda’s expertise and knowledge in medical billing helps our patients understand the costs associated with their treatment and enables us to address any questions or concerns they may have. Susan is the welcoming face of our practice. From your first visit to your last, Susan is always ready to assist you with appointment scheduling or answering any questions you may have.